Small Business Saturday kicks-off this year’s Hop & Shop Trolley! Mark your calendars – the Christmas season is right around the corner, and we have all of your shopping needs covered! Historic Downtown Franklin will support Small Business Saturday on Nov. 25 with special promotions and events, as well as the kick off for this year’s Hop & Shop Trolley with Mayor Ken Moore. To encourage shopping local, the Downtown Franklin Association partners with The Factory at Franklin and the Franklin Transit Authority to provide free transportation with the Hop & Shop Trolley. The shuttle is a heated and handicap accessible form of transportation for passengers to take into downtown Franklin from The Factory. 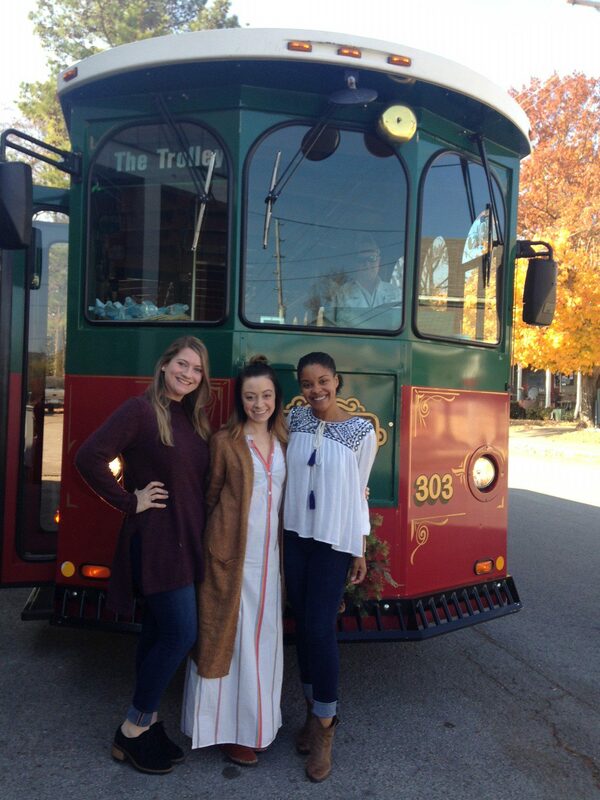 Running in 30-minute shifts from 10 a.m. – 5 p.m., the festive trolley will begin with special guest City of Franklin Mayor Ken Moore on Nov. 25 and will continue Dec. 2, 16 and 23. Rare Prints Gallery: 20% off all unframed prints. Twine Graphics: Buy one get one 50% off, along with a free Twine Logo tee with purchase while supplies last! Shuff’s Music: Enjoy hot cider and cookies while you shop, plus FREE Reusable Shop Small goody bags for our 1st 10 customers!